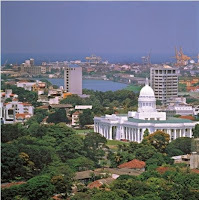 The double-digit growth of inbound tourism to Sri Lanka has sparked a massive hotel expansion drive by several hotel giants, including refurbishment of existing hotels and major development plans in the pipeline announced Sri Lanka Tourism Promotion Bureau’s (SLTPB) Middle East office. Total hotel expansion and development spending is estimated at AED 18 billion (USD 5 Billion) while projected inbound tourism arrival is expected to cross 2.5 million by 2016. The boom in tourism is projected in the wake of increased demand for hotel rooms post conflict resolution. All this will help accommodate the exponential increase in tourist arrival expected. In the Middle East alone, tourism arrivals for the first six months of 2010 reported an enormous surge in the number of Saudi Arabian travellers to Sri Lanka, according to figures compiled by the Sri Lanka Tourism Promotion Bureau’s (SLTPB) Middle East office. “Arrivals rose by an unprecedented 96 per cent in the first six months of 2010 compared to the same period last year,” said Ms. Heba Al Mansoori, Middle East Director of SLTPB based in Dubai. According to recent statistics compiled by the Sri Lanka Tourism Development Authority, the total number of travellers from the Middle East region reflected a phenomenal upsurge with arrivals increasing by 102 per cent over the same period. “Regardless of apprehensions of an unsteady global economy, Middle East’s discerning travellers are spending time and money on travel and Sri Lanka has been one of the preferred destinations of choice with a meteoric rise in tourists during H1 2010,” observed Ms Al Mansoori. John Keells Holdings (JKH) invested AED 13 million (400 million LKR) to upgrade and rebrand Club Oceanic to Chaaya Blu in Trincomalee. The group has currently undertaken an AED 65.4 million (2 billion LKR) investment on a new 4 star 190-room hotel in the Beruwela area. Coral Gardens in Hikkaduwa, Bentota Beach and Habarana Lodge are all being given a facelift with the total renovation costing up to AED 49 million (1.6 billion LKR). The chain also has lands in Ahungalla, Wirawila and Nilaweli, upon which new properties are planned. Jetwing is all set to spend AED 23 million (LKR 700 million) on rebranding and refurbishing Blue Oceanic as Jetwing Blue. Besides this the chain will spend approximately AED 16.3 million (Rs. 500 million) at Sea Shell which will be converted to Jetwing Sea and AED 13 million (Rs. 400 million) will be spent at Blue Lagoon. Jetwing Blue and Jetwing Sea are slated to open their doors for business in December this year. “Given the rapid growth of tourism in Sri Lanka, Jetwing seeks to refurbish its current properties and expand its room stock through new ventures. In respect of refurbishment, Jetwing has made a conscious effort to upgrade all its properties gradually to a 4 -5 star (small luxury) properties. Already the Jetwing Blue & Jetwing Sea is underway! As regards new hotel ventures, Jetwing has planned to occupy ‘white spots’, by locating and developing new similar standard hotels in the East Coast, Yala, Kandy, Jaffna and Colombo, while offering to manage several other properties in the island”, states, Hiran Cooray, Chairman Jetwing Group. Tourist arrivals have increased to nearly a staggering 48 percent for the month of July alone when compared with June 2009. The first half of 2010 has registered a 48.4 percent increase in inbound tourism when compared to the same period in 2009.